This feature lets you use the power of Google to search your previous searches. It’s like your browser history, only with better search — and with your Google searches included. It’s not just your search history, either. The results also remember all the pages you visited by clicking on a Google result. 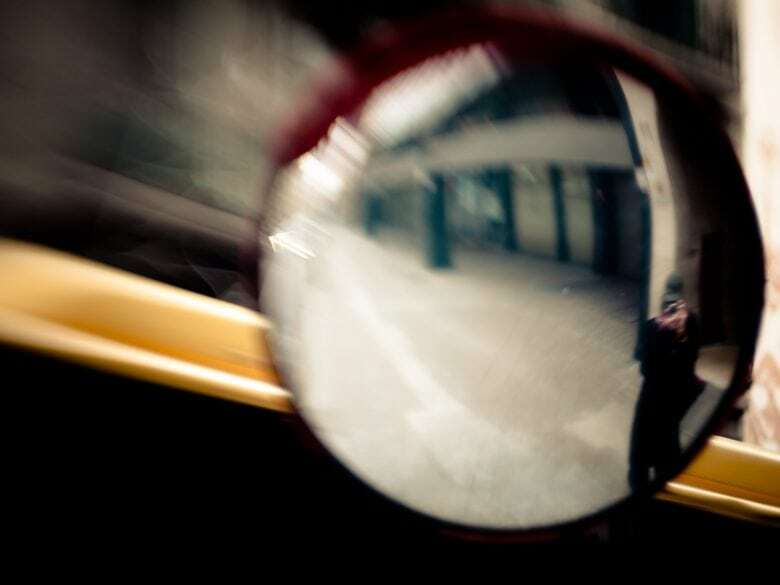 Google remembers everything you do. As you can see, Google remembers everything you search for. To search within your searches, as it were, just use the search bar at the top of this list. See exactly when you searched in this panel. Pretty neat, right? And also pretty scary. 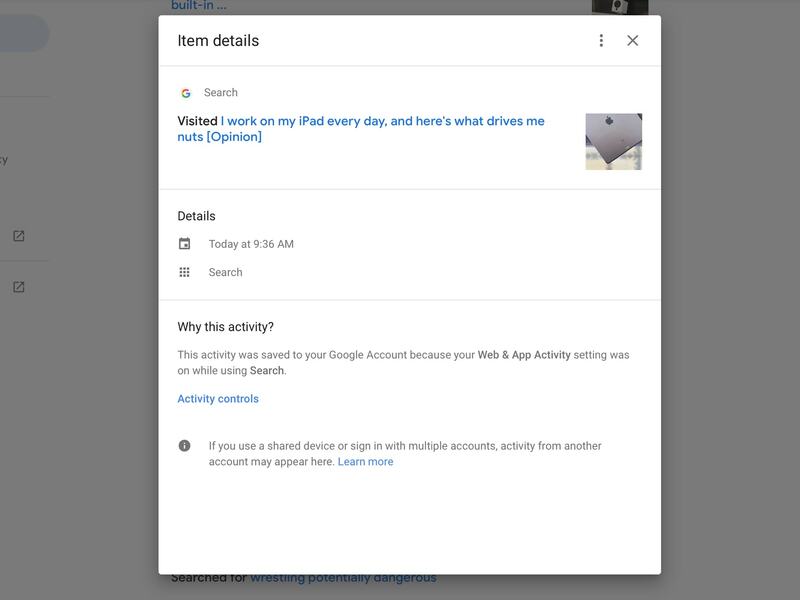 You’ll only be able to see your search history if you’re signed in to Google, but who ever really signs out of Google? 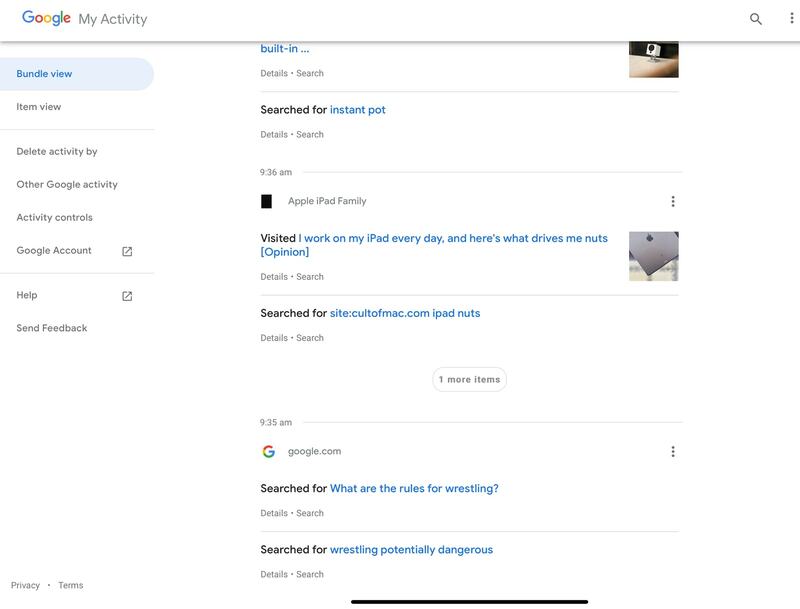 That means anyone who uses your computer, iPhone or iPad can see your entire Google search history. Switch everything off right here. Scroll down and you may be surprised at the information Google remembers about you. Your location history, for starters. 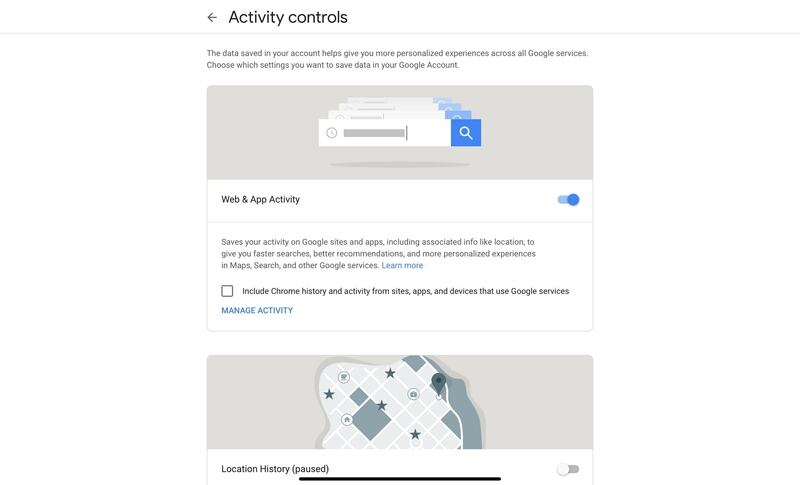 Also, your searches, your YouTube searches and activity, plus “contacts, calendars, apps, and other device data” if Google has access to those things. There’s a switch next to every one of these sections to let you deactivate your various saved histories. You might find that you want to just stick with your regular Safari browser history, but there are some advantages to using the Google version. Especially if you use different browsers on different machines. And if you don’t like it? Well, at least now you know where to go to switch it all off.